Carlton will release four disparate films as the "Cult Thrillers Collection" on February the 16th. The four are Millennium (the time-travel film starring Kris Kristofferson and Cheryl Ladd), Patty Hearst (Paul Schrader's film about the 1974 Hearst kidnapping), Physical Evidence (distinctly average courtroom drama, directed by Michael Crichton, and starring Teresa Russell and Burt Reynolds), and Wedlock (the futuristic prison thriller, starring Rutger Hauer). Details are thin on the ground, but reading between the lines it looks like Millennium and Physical Evidence will have non-anamorphic letterboxed transfers and Wedlock will be anamorphic widescreen. There are no details for Patty Hearst, and no audio spec's for the other three have been released, either. Scott Johnson's score percussive score for Patty Hearst is one of my favourites, so let's hope that Carlton's disc does it justice! All four discs will feature English HoH subtitles. RRP is £9.99 each. 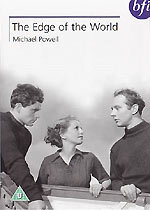 BFI Video will release Michael Powell's heartfelt 1937 film The Edge of the World on DVD on January the 12th. The film, about a group of Shetland islanders whose bucolic lifestyle is becoming increasingly threatened by influences from the mainland, was restored by the National Film and Television Archive in 1990, and has been the subject of further work for the new DVD version. The disc will feature a recording of extracts from Powell's book about the Scottish islands, 200,000 Feet on Foula, read by Daniel Day Lewis. The disc will also feature a commentary track by Powell's widow, Oscar-winning film editor Thelma Schoonmaker, and film critic Ian Christie; Powell's home movies; the 1978 documentary Return to the Edge of the World; a 1928 travelogue, St Kilda - Britain's Loneliest Isle; biographies of Powell and producer Joe Rock, and a stills gallery. The disc will also feature optional HoH subtitles. RRP for the disc is £19.99. Someone at MGM Home Entertainment has been busy with a list of films and a pin, judging by the list of titles announced for release in January. 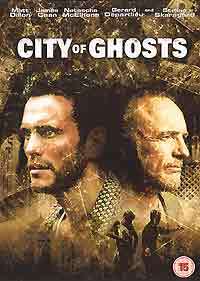 Leading the pack on January the 12th is Matt Dillon's crime thriller City of Ghosts (which also stars James Caan, Natasha McElhone, Gerard Depardiei and Skellan Skarsgard). According to the unfinished version of the sleeve, the film will be in 1.85:1 anamorphic widescreen ratio, with Dolby Digital 5.1 audio. Bonus features include a commentary track by Dillon, a trailer. 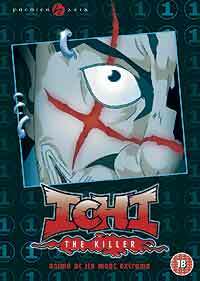 Other "special features" include "an interactive menu screens and chapter selections". RRP is £12.99. Phew! 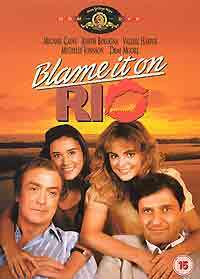 Looks like MGM really pushed the boat out on this one! 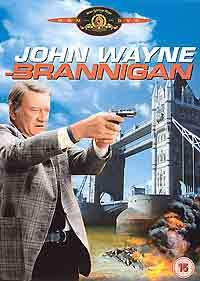 John Wayne plays a mean Chicago cop in London in Brannigan, which is being released on January the 12th, with an RRP of £12.99. The disc will apparently boast an anamorphic 2.35:1 transfer, mono audio, and a theatrical trailer. 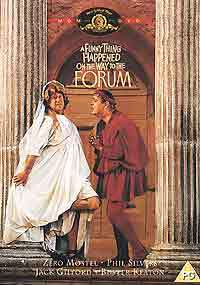 Other January 12th releases include two Chuck Norris action movies, Lone Wolf McQuade and Code of Silence, the 1966 film version of Sondheim's musical A Funny Thing Happened On The Way To The Forum, Dana Carvey's amnesia comedy Clean Slate, Michael Moore's political satire Canadian Bacon (starring John Candy), Rob Lowe and Patrick Swayze in the hockey movie Youngblood, Pauly Shore's stinker Bio-Dome, and Stanley Donan's romantic comedy Blame It On Rio. According to the provisional sleeves - which should always be taken with a pinch of salt - all will have 1.85:1 anamorphic transfers. 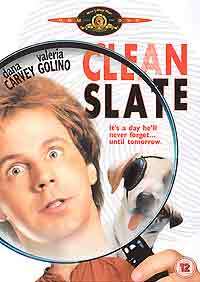 Clean Slate, A Funny Thing... and Youngblood have 2.0 surround audio; Blame It On Rio and Lone Wolf McQuade will be mono. Sleeves (and spec's) for Code of Silence. Bio-Dome and Canadian Bacon were not available. RRP for these titles is £12.99. Season Seven of Stargate SG-1 makes its debut on January the 26th, on a disc which includes the first four episodes of the season: Fallen (the SG-1 crew are reunited with an old friend), Homecoming (SG-1 helps fight Anubis), Fragile Balance (a fifteen year-old child infiltrates SGC, claiming to be Colonel O'Neill) and Orpheus (Teal'c is wounded in battle), each supported by a commentary track. Other bonus materials include a Directors Series featurette focusing on Fragile Balance, and a profile of actor Michael Shanks. An animated version of Hideo Yamamoto's insanely violent yakuza manga strip Ichi the Killer will be released by Premier Asia on January the 26th, hot on the heels of Takashi Miike's notorious live-action version (which is also available from Premier Asia, but only in a version that the BBFC cut by more than three minutes). The anime version of Ichi The Killer was written by Yamamoto, and Miike provides the voice for Kakihara, one of the film's pivotal characters. Technical spec's and the RRP have not been released. Anchor Bay will be releasing Alejandro Jodorowsky's startling cult classic Santa Sangre on the 26th of January, as a two-disc Special Edition. The film will be presented in widescreen format, Dolby Digital 2.0 and 5.1 soundtracks, and a DTS track. Bonus materials will include audio commentary by the director and peerless film journalist Alan Jones; Louis Mouchet's feature-length 1994 documentary La Constellation Jodorowsky (currently only available on Fantoma's US Fando & Lis DVD); a filmed on-stage interview with Jodorowsky; a deleted scene; a theatrical trailer; stills and poster galleries; talent biographies and Echek (a short film directed by Alejandro's son Adan, who stars in Santa Sangre). The disc has an RRP of £19.99. 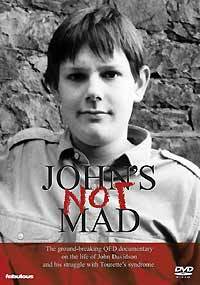 Fabulous Films and Freemantle Home Entertainment are releasing John's Not Mad, the memorable 1989 QED documentary about John Davidson, a young man with Tourette Syndrome (a genetic condition which can manifest itself in involuntary twitches and vocal outbursts). The disc, due on the 12th of January, will contain the original documentary, and the 2002 follow-up, which also looked at how the publicity from the original series affected John. A percentage of the £14.99 RRP will be donated to Tourette Scotland, the charity supported by John. (You can visit their website by clicking here). Another disc of special episodes of Minder will be released by Clear Vision Video on February the 16th. The disc will contain two episodes: An Officer and a Car Salesman (from 1988, guest starring Richard Briers) and The Cruel Canal (from 1991). 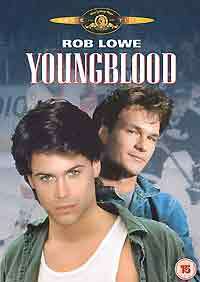 The disc will also include clips from seasons five to eight, and an episode guide spanning all 108 episodes. The disc, titled Minder Specials Volume 2 of 2, has an RRP of £12.99.